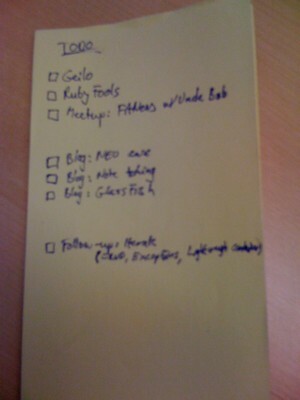 I accumulate tasks on a TODO list. 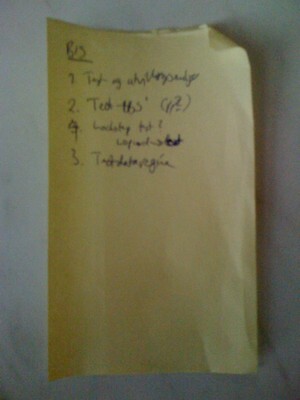 Sometimes the tasks are organized by topics, other times not. 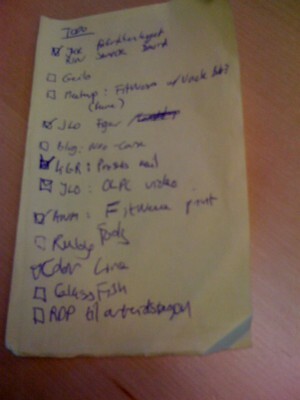 As I complete tasks, I scratch them out (not done), or check them off (done). 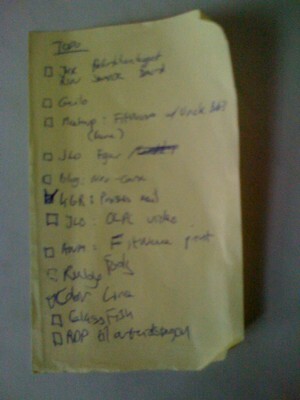 When the TODO list looks sufficiently messy, I just rewrite it and throw the old one away. 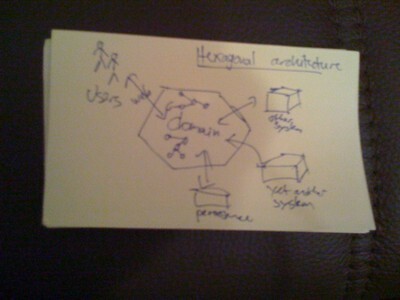 After a meeting, I refine my notes from the meeting until I have the distilled conclusion on a single note. When there’s a lot on my mind, it can be hard to sleep. 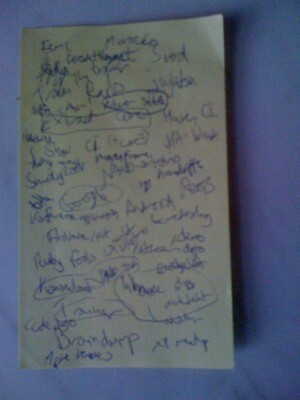 If I just get it all down on a piece of paper, I can sleep like a baby. 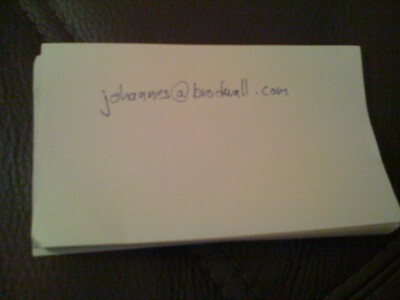 When people ask me for my contact information, I have stopped digging around for a business card. Feel free to drop me a mail! Tag you’re it! 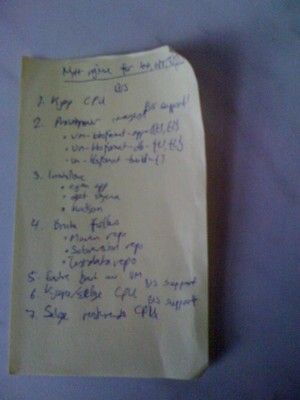 How do you make notes? Just to clarify how babies sleep: The first six months, they rarely sleep more than 3 hours in a single stretch. Later, if you're lucky, they sleep through the night, but they don't exactly just lie there sleeping all quietly like most adults. They go to bed head one way, and wake up inside the douvet cover, head the other way and their pyjamas torn to pieces at 5.30 a.m.
Just to clarify how babies sleep: The first six months, they rarely sleep more than 3 hours in a single stretch. Later, if you’re lucky, they sleep through the night, but they don’t exactly just lie there sleeping all quietly like most adults. They go to bed head one way, and wake up inside the douvet cover, head the other way and their pyjamas torn to pieces at 5.30 a.m.